This cookbook has over 1,100 good old-fashioned home-tested recipes. Mrs. Peter Vogt's "Chicken Noodle Soup", Mrs. George Derksen's "Apple Rolls", and Mrs. A.D.Penner's "Flapper Pie" are examples of the good cooking in this book. It also has a section of traditional recipes. 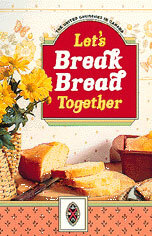 Lutheran Church groups from across Canada shared some of their favourite recipes. 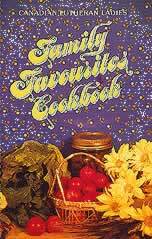 "Country Soup" from Lacombe, Alberta, "Hawaiian Dreams" from Ladysmith, Quebec, and "Jumbo Raisin Drop Cookies" from Hazlet, Saskatchewan are only a few of over 1,000 recipes. United Church people from British Columbia to Newfoundland shared some of their favourite recipes and it has become a MUST in many kitchens. Just try "Creamed Scallops", complete recipes and directions on how to make "Sourdough Bread", "Pumpkin Dessert" that will not fail or any of the more than 1,000 recipes from all categories. 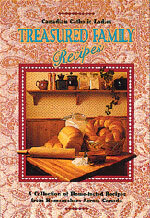 Collected by the Catholic Church Auxiliaries, this book has over 1200 recipes. Catholic Groups from across Canada shared recipes like easy to make "Prize Apricot Jam" from Grayson, Saskatchewan, "Pork Schnitzel" from Elmira, Ontario, "Quick Chili Casserole" from Steinbach, Manitoba. 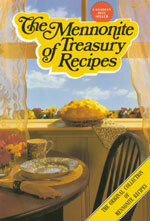 A book of old-fashioned recipes, kitchen and home remedies. 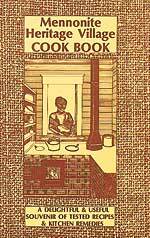 Recipes include "Peppernuts", "Old-Fashioned Molasses Cookies", "Fried Ham and Onion Gravy with Kielke", "How to Make Butter", "How to Milk a Cow", recipes for cleaners and much more. 184 pages. 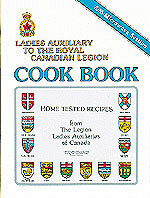 Legion Ladies Auxiliaries of Canada have shared their favourite recipes to make one great book of over 1,000 recipes. Examples are: "Maple Crullers" from Hodgson, Manitoba, "Spicey Short Ribs" from Hopewell, Nova Scotia, and "Pineapple Tart Cake" from Saskatoon, Saskatchewan. 146 pages - 900 recipes. Published to celebrate The Carillon's 50th Anniversary in 1996. The Carillon is Manitoba's largest weekly newspaper. 128 pages - Over 600 recipes. Recipes shared by Carillon readers. You'll want the recipe for Mrs. Verna Karnefel's "Raspberry Ripple Pie", Mrs. M. Chubey's "Ukrainian Easter Bread", "Gingerbread Men" from Joan Loewen, and Betty Kintop's "Apple Pan Walnut Cake." Also Ruth Adam's "Caramel Pear Pudding" which won a $100 prize in a Michigan Bake-Off and "Mom's Creamy Stewed Chicken" from Donna Fenuik-Penner which has handed down from her mother. please contact us at the email address below to ask for the latest printable pdf order form. in your fund raising efforts.